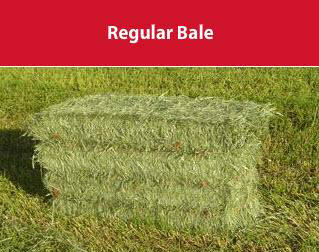 Regular Bale | Anderson Hay & Grain Co., Inc. Regular bales are produced directly in the field at the time of harvest and are our most popular package for those in the equine industry. This package preserves the most natural state of the forage as it was grown and provides a highly palatable product for the animal. Loading Options: Regular bales have different loading options available than some of our other products. Whether hand loaded or machine loaded, the goal is to provide configurations that meet customer's specific market requirements and allow for ease in the unloading process at the end user site. We follow industry standards and will work with our customers to maximize the product being shipped and minimize costs.